If there is one thing I want prospective clients to know, then it’s that I am well aware of the number one complaint clients have about their attorney. It is a lack of communication, or the lawyer not effectively explaining something to the client. I have responded by making sure that I call each and every client personally on a regular basis to let them know how their case is progressing and what they can look forward to later on. You should never have to stress out because your attorney isn't keeping them in the loop. When you hire me, you won't have to. I understand that clients are in a difficult position. You are injured or afraid and don't understand what's happening to you. As I see it, I have to be the centered presence who can explain to you what is going on and give you a realistic assessment of your situation. If you have no case, or there is no way to win, I feel that you need to know that. I will never sugarcoat a case just to be paid. However, if you hire me, I will give my you everything I have. Most cases settle before going to court, but in those cases when they don't, I will represent you as aggressively as needed to make sure you receive the best possible outcome. A good attorney tells you what you need to hear, not just what you want to hear. I was born and raised in New Jersey. I received a Bachelor of Science Degree from Seton Hall University and then moved to California in 1986. Later that year, I obtained a Series 3 license from the National Association of Securities Dealers (NASD), so that I could trade commodity futures and options. Three years later, I opened my own contracting business but was forced to decide on a different career path in 1993 after facing a series of health issues. That was when I decided to practice law. After a lot of hard work, I obtained my Juris Doctor law degree from the Thomas Jefferson School of Law in San Diego in May of 1999. In addition to nearly two decades of practicing law, I also hold a license as a California real estate broker and a former licensed Series 6 & 63 representative with FINRA. 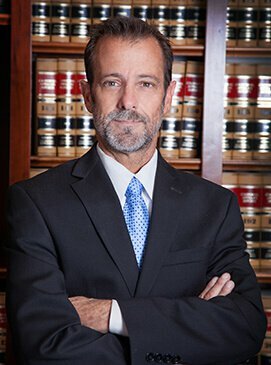 His wide range of experience enhances his experience as an attorney and his life experience makes him uniquely able to relate to his clients, whether they are considering starting or running a business or they have been injured in an accident or they are buying or selling some real estate. That is what makes the Biondi Law Firm uniquely capable of making clients feel good again.